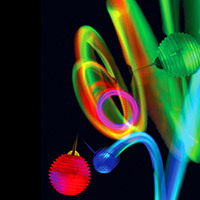 Rave toys for all-around fun. 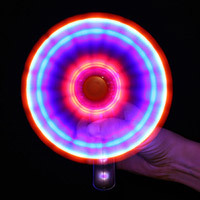 Flashing balls, Poi, lumin disks and more! Perfect for your nighttime events! 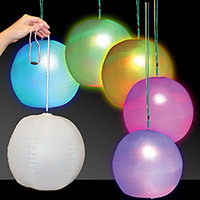 This translucent inflatable ball has a special slot to insert the included LED stick which has 6 multi-color strobing and solid color modes. 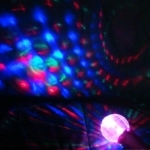 Creates a large 12" light ball that is super cool. 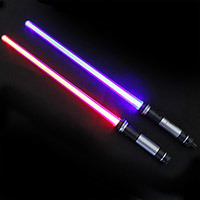 Deluxe Double Sabers are amazing 2-in-1 Sabers with both motion activated color changes and sound effects. 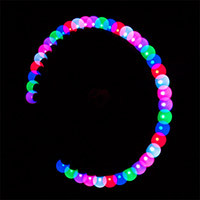 Expandable Multicolor LED Sword extends with a flick of your wrist. 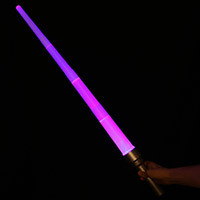 Perfect for practicing swordplay moves & space saber reenactments. 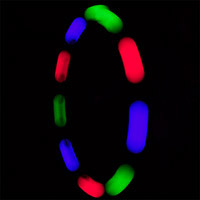 Make your own music and light show in one! 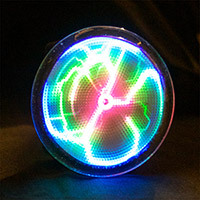 5 super brilliant multi-color LED's. Defend against alien invaders with the Spinning Space Blaster Ray Gun.